Lars Fredén is a former Sweden’s Ambassador to China and Mongolia from 2010-2016. 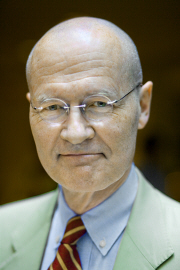 He has been working in the Swedish Foreign Service since 1982. Mr. Fredén also used to be the Head of the International Affairs Department at the European Space Agency in Paris, 2003-2006. Besides, his previous ambassadorships have taken him to Zagreb, Skopje, Pristina and Tirana.